How cute are these two! They are Norfolk Terriers. 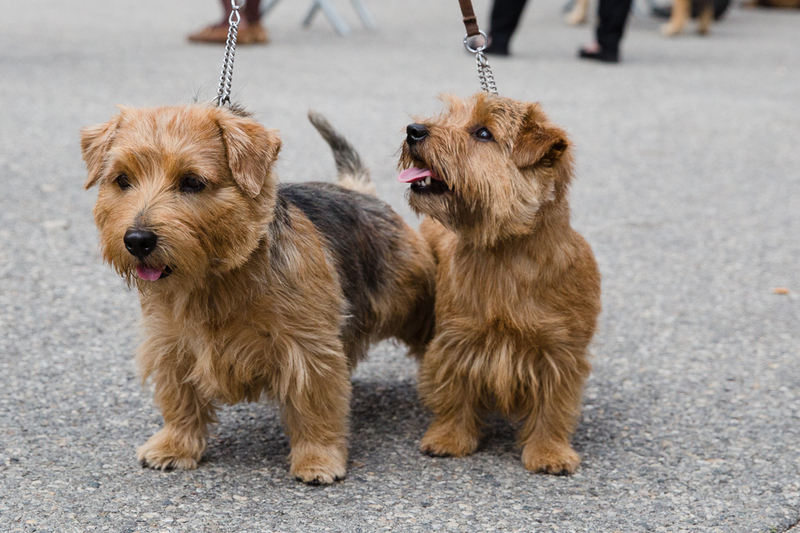 There are identical to a Norwich terrier except the Norwich has prick ears. A good way of remembering the difference is to think of the spire of Norwich cathedral and then the 'up' ears of the Norwich terrier. Oh my, they're way too cute! Like William said ... Too cute!!!! We love them! They are darling!